IT”S BACK!!! NELSONS’ FRESH SQUEEZED FLORIDA JUICE!!!! The juice that started it all. At Nelsons, we pick and squeeze our own fresh fruit right here on the premises. No additives or preservatives, just pure fresh juice right off the tree. We have Orange juice and Pink Grapefruit juice available in pints, quarts, 1/2 gallons and gallons. It’s refreshing and delicious. 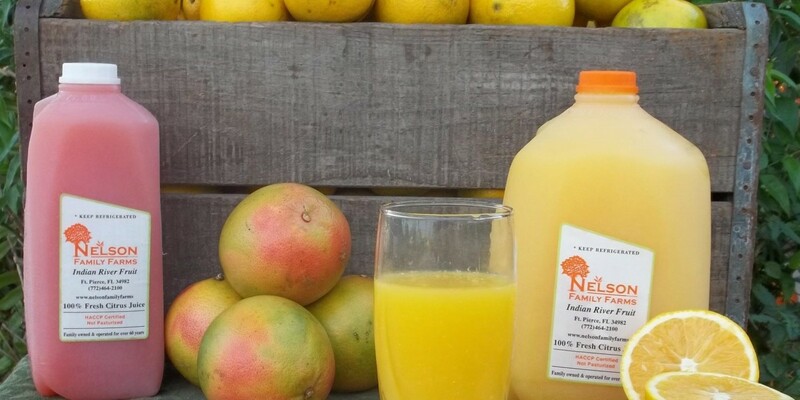 Come on by and get your fresh squeezed Nelsons’ Florida Orange or Grapefruit juice today!! !